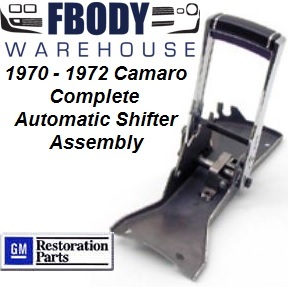 For 1970 - 1972 Camaro new GM authorized reproduction unit. Complete fully assembled unit is ready to install. 100% complete shifter assembly for console equipped cars. For all two and three speed transmissions. Base assembly and all components include plated finishes to ensure a showroom appearance.